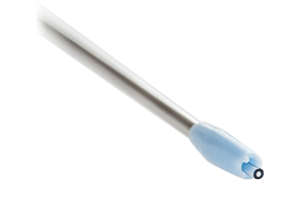 The MicroSurge BlowMister provides delivery of CO2 and saline when a wound or surgical site must be cleared by non-contact means for improved visibility at the site. Softer material (atraumatic) — malleable plastic tubing and housing. Angle and direction of flow is consistent and doesn't lose direction of flow working on the specified target.